This course is interesting and essential because it imparts knowledge of what happens to the various parts of the anatomy when performing asana. The comprehensive course is designed to increase the knowledge of the effect of various asana on muscles, bones, and joints. The Yoga Functional Anatomy Certificate Course will empower yoga teachers to teach their students how to move better during asana training, keeping in mind the effect of the asana. The course will also allow yoga practitioners to modify the asana according to individual needs for complete safety and also for preventive and curative care. 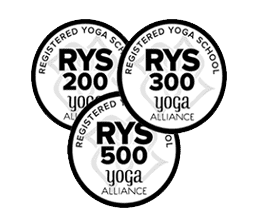 If you are a yoga teacher, healer or practitioner the Yoga Functional Anatomy Certificate Course will deepen your knowledge of therapeutic and restorative aspects of Yoga. After completing the course you would add a new component to your growth as a professional. Your asana instructions will have more depth and will enable you to conduct asana practice with more understanding of the movement and effect it is having on the anatomy. In fact the course is also seen by many as an effective learning for the practice of alternative medicine. Yoga students and Yoga teachers alike will find the course quite impactful and useful. The Yoga Functional Anatomy Certificate Course will not only make you an expert but will also reveal to you some enigmas of yoga for treatment and prepare you to take your yoga teaching to the next level. During the course you will be gain knowledge about all the 55 ‘yoga’ muscles, their location and their involvement during yoga asana and the contractions and stretches that they produce during asana practice. You will be able to better comprehend the role and movements of 180 bones and joints that are utilised in yoga asana practice. Understanding of the basic functions of the organs in the body, the spinal cord, knee joints, foot arches will enable you to take into consideration all safety aspects of asana like balance and inversions. You will be able to improve alignment and prevent injuries as you will have more knowledge of muscular imbalance and safe provisions. After you have successfully completed the Yoga Functional Anatomy Certificate Course you will be given a certificate. You will be able to conduct your yoga classes with more confidence as you will have the competency to modify asana to meet individual needs, ailments and scientifically correct alignment of postures for your yoga students. The course will enable you to understand which of the muscles are stiff and you can help students to carry out stretches to release them. Using the knowledge gained from the anatomy course in your classes will develop your yoga teaching too. The course also provides knowledge of therapeutic and restorative aspects of yoga, which you can build further for making inroads to therapy. 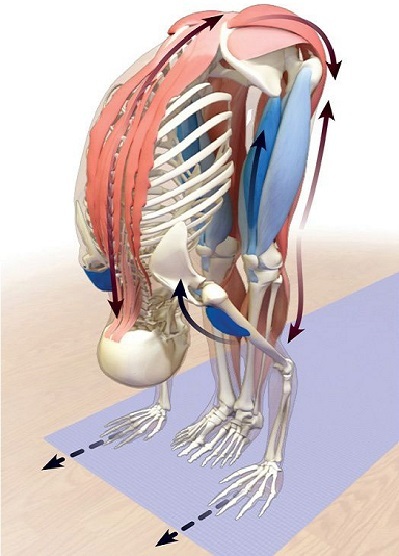 55 yoga muscles, 180 bones and all major joints and their involvement during asanas. Insights into Human Anatomy, Physiology & Kinesiology. How muscular imbalances are caused and there effect on the body alignment and different joints. Spinal column and inter vertebral discs and safety aspects during asana Roots of Knee Pain, Lumbar Pain, Cervical/ neck pain and understanding to alleviate this Medical reference terms, body movements and other medical terminology used for yoga students. Use of goniometer device to measure flexibility. Scientifically recommend & correct yoga postures for ensured results. In-Depth understanding of 55 yoga muscles, 206 bones, joints, their role & impact on yoga postures. which will be non refundable and balance can be paid on arrival before you start your course.